It started with an idea to make my own soba noodles. My udon noodles were so tasty, I thought it would be no problem. They started out beautifully enough. I used a ratio of 2:1 buckwheat to bread flour with salt and water. 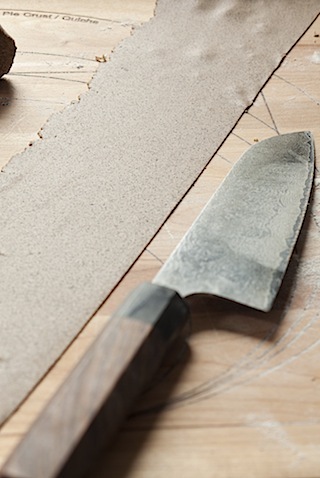 The rested dough, once rolled a little bit, fed through the past roller to yield fine sheets of pasta. It even cut into beautiful long threads instead of crumbling as I feared it might. Kind of gorgeous aren’t they? Just think of them floating in dashi. What could go wrong? 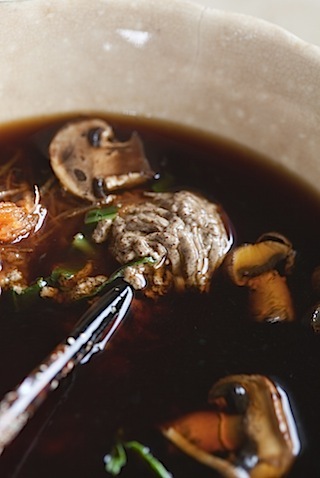 Well, apparently, even a slight move in the warm broth, and they turned into sludge. Has anyone made their own soba before? What’s your trick? This entry was posted in Cook and Eat, Food, Savory, Today I. Bookmark the permalink. That had to be so frustrating. They look absolutely perfect up until that last pick. I don’t understand how something could look so great and then do that. Totally unfair! Sorry, I have no advice for you. I only just started making regular pasta at home. Yeah, it was really kind of crazy! I was really worried going in that I wouldn’t be able to roll them/cut them… so had pretty much relaxed by the time they actually failed! There went my lunch! Hi Lara, your noodle threads look gorgeous and I’m sorry to hear they didn’t turn out well! I’ve never really made my own soba noodles at home, except I have tried it only once, at a workshop with a soba master who helped us a lot, so I really can’t say *I* made the noodles. So I’m really not the one to give you any advice, and I can’t tell exactly how you did it here, but I suspected it might perhaps have been something to do with the cooking (boiling) bit, if the cooked noodles went sludgy? i.e. cooking for too long, not refreshing the cooked noodles in cold water, etc. Or the water content in the noodles to start with. Not sure. 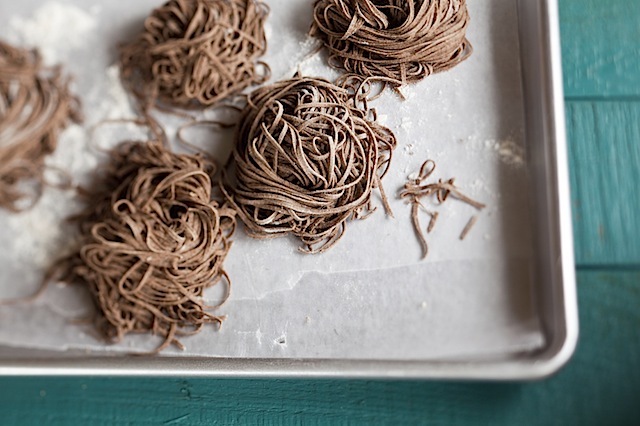 Apparently, there are quite a few ‘tricks’ if you want to make good soba noodles, as in how to add water, how to roll and knead the dough, etc., etc., but I know a lot of people make them okay with relative ease using a pasta machine, so I’m sure you’ll get it in the end. Good luck! Beautiful photos despite the failure … better luck next time. Actually what intrigued me most about this post, is that you documented a failure 🙂 So many blogs just always tout everyone’s achievements, and you rarely read about the imperfect experiences. Writing about both makes it so much more genuine and authentic. Don’t give up Lara, try kneading the dough more and dry the noodles before cooking. All the best! Bummer. My advice would be the same as the one above – try drying longer. 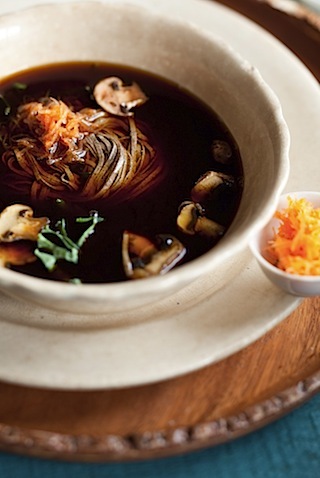 Although I’ve never tried soba noodles either so what do I know. Good luck with the next batch! Lara, if it makes you feel any better, I had this exact same thing happen a couple of weeks ago with professionally made, store-bought noodles from a Japanese market. So it may just be a noodle occupational hazard. The bread flour might be the problem. Maybe it has too high of a gluten content. I would try an AP flour next and see if that helps. I guess it is true what they say practice makes perfect. Good luck fellow foodie. Speaking of pictures, the ones on your udon noodle post seem to be missing (or at least they’re not showing up for me). If this is something you can correct easily, I’d love to see pictures of the process before I try my hand at your recipe. Thank you! Thanks for the reminder to fix those photos! I had a lot of old posts that had photo problems when I merged all the sites… should be better now! I think you should use more gluten-rich flour, because buckwheat doesn’t contain gluten. You made me feel a little better about the “bread brick” I made the other day when I tried to bake a loaf of bread with a sourdough starter. I like that you share the failures as well as the successes! The photos show up perfectly now, thanks Lara! Harold McGee is a chemist who has a food column in the NY Times, it’s a little scary but really fascinating! He wrote an article on udon noodles a little while back using baking soda, maybe you could try this with your soba? This is link to article, and click through for recipe. Just discovered your wonderful blog! I totally feel your pain on this. I just finished three long episodes of trying to make bear claws from scratch. 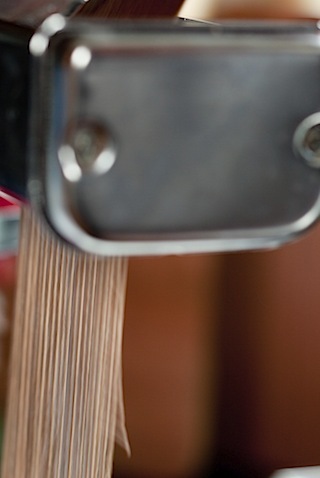 It sounds like soba noodles are another “more science than art” project: http://www.examiner.com/nutrition-in-sacramento/how-to-make-your-own-japanese-style-soba-noodles-from-buckwheat-and-bean-flours.